At Homeplace Heating & Air, we have decades of experience in replacing and installing air conditioning and central air systems of all sizes and types. Replacing your old, outdated air conditioning system can drastically improve your energy bills as well as improving your comfort level in North Carolina’s summer heat and humidity. We begin by inspecting your home’s current HVAC system configuration, especially your existing ductwork, to learn what must be done to ensure your brand new system can be installed properly. We help you choose the right system for your home in terms of cooling capacity, configuration, and price. After your old system is removed, we make any necessary modifications to your installation site and ductwork to ensure perfect compatibility with your new system. Finally, we expertly install your new system and perform analysis to confirm that it is working flawlessly. 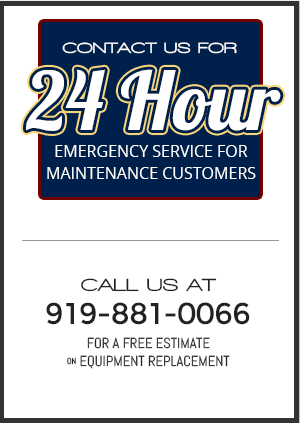 Call us today at 919-881-0066 for a free estimate and let Homeplace Heating & Air handle all of your HVAC system equipment replacement and installation needs.